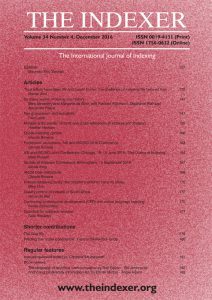 Journal of the Society of Indexers. 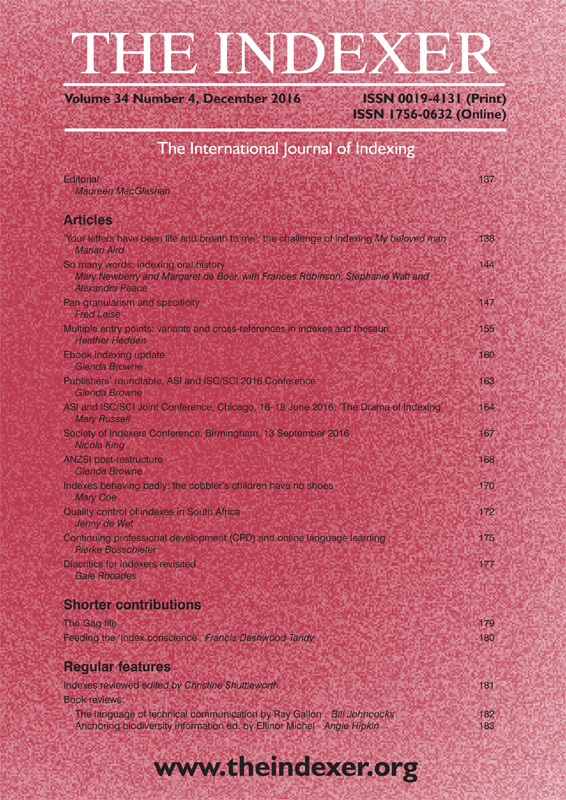 The professional journal for indexers, automatically included with ISC / SCI membership. A cumulative index for Vols. 20 to 25 (1996-2005) is now online. Back issues are available from the ASI Administrative office.